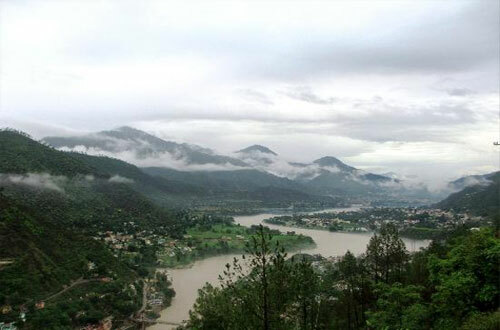 Srinagar is the largest city in Garhwal hills and a municipal board in Pauri Garhwal district in Srinagar is located at 30.22°N 78.78°E at the left bank of Alaknanda river. It has an average elevation of 560 metres (1,837 feet). It is the widest valley in the Garhwal hills. 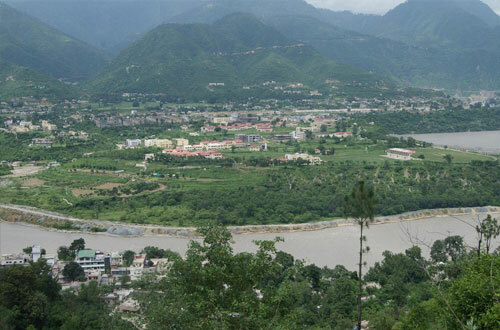 It is reached by national highway NH58 from Rishikesh, Srinagar is about 100 km from Rishikesh which is the last city on the plains of Uttarakhand and from where the mountains start. 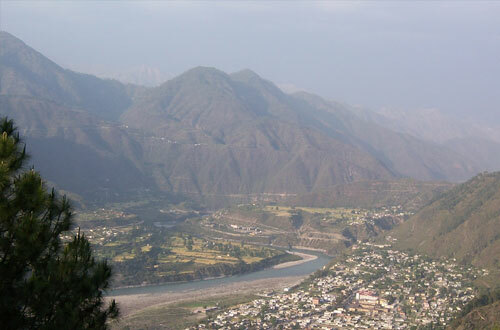 Srinagar city mainly rests over the quaternary fluvial terraces of boulders and sand deposited by Alaknanda river. The hard rock under these boulder-sand terraces is the proterozoic phyllite called Pauri Phyllite. This highly fractured Pauri Phyllite of Chandpur Formation (Jaunsar Group) is separated from the quartzite and lime stone of Rudraprayag Formation by the North Almora Thrust (NAT), sometimes also called Srinagar Thrust. 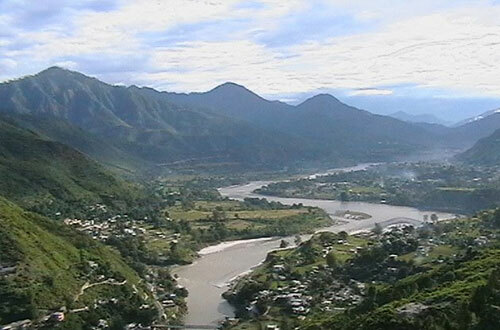 Srinagar came into limelight after becoming the capital of Garhwal Kinghdom. King Ajay Pal with unifying the various chiefdoms and garhis (small counties) of this region during 1506-1512 CE founded the Garhwal kingdom and shifted the capital to Srinagar place from Chandpur Garhi. The Gorkhas defeated the Nepali king and occupied Kathmandu. This emboldened them and they turned westward and attacked Kumaon and Garhwal in 1803. Raja Pradyuman Shah of Garhwal was defeated and killed in January 1804. Srinagar was under Gorkha rule from 1806 to 1815 CE. After the Gorkhas were defeated by the British, Srinagar became a part of British Garhwal. The old Srinagar city was destroyed in the Gohna Lake dam-burst which destroyed all the old relics of the town. Today the town is an important cultural and educational centre. Being placed in central Garhwal at a moderate height, it is an important Valley Bazar in the hills. It has a number of temples and monuments and places for tourists to stay. The nearest airport is the Jolly Grant airport, Dehradun 150 km (93 mi) away. The nearest railway stations are at Rishikesh and Kotdwara. However, Rishikesh is a small railway station not connected by fast trains. Kotdwara is connected by only a few trains. Haridwar railway junction, 24 km farther from Rishikesh, has train connections to most of the major cities in India and is, therefore, the railhead for Srinagar. 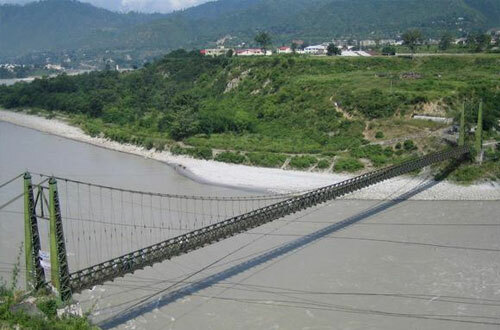 It has been planned to lay a railway line from Rishikesh to Karnaprayag via Srinagar but the project may take over a decade to complete if the slow progress of Kashmir railway project is taken as an indicator. 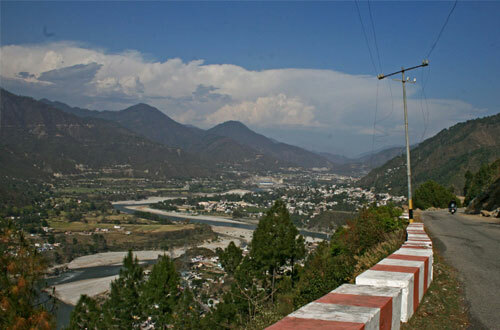 Srinagar lies on national highway NH58 that connects Delhi with Badrinath and Mana Pass in Uttarakhand near Indo-Tibet border. Therefore all the buses and vehicles that carry pilgrims from New Delhi to Badrinath via Haridwar and Rishikesh in pilgrim season of summer months pass through Srinagar on the way to Rudraprayag, Karnaprayag, Chamoli, Joshimath and further north. Rishikesh is the major starting point for road journey to Srinagar. Regular buses operate from Rishikesh bus station to Srinagar. 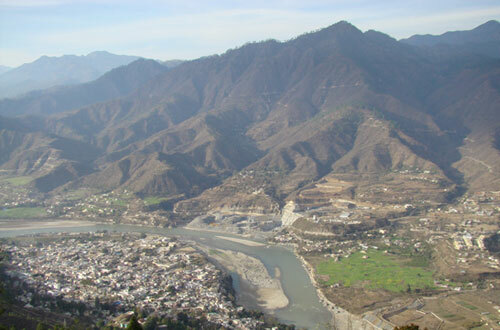 The road distance from Srinagar to Rishikesh is 108 km (67 mi) via Devprayag. 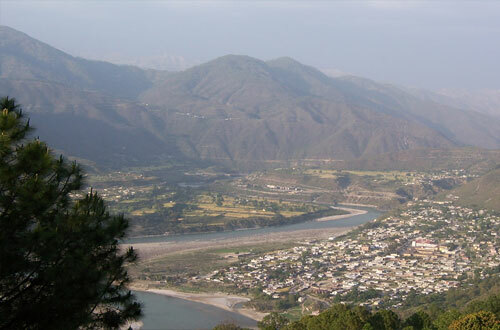 Srinagar is also accessible from Pauri Garhwal town that, in turn, is reached from Kotdwara by national highway NH119. The road distance from Kotdwara railway station is 138 km (86 mi) via Pauri. Srinagar is the last night stop towards the holy Hindu temples of "Badrinath" and "Kedarnath". Srinagar also has its own share of temples. Kamleshwar Mahadev—Kamleshwar is the most popular temple in the town. The temple is about 150 m from the national highway toward the river Alaknanda near SGRR public school. Kilkileshwar Mahadev is a Shiva temple located in the banks of river Alaknanda, Kilkileshwar Mahadev was established by Shankaracharya. 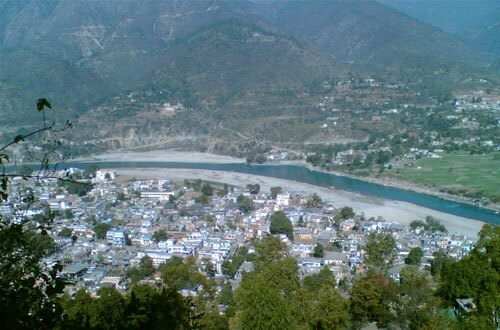 It is situated in Chauras (Tehri). Shankaramath temple located near lower Bhaktiyana is dedicated to lord Vishnu. Chopra Mandir located near Koteshwar dam is dedicated to Chopra Narsingh or Bhairo Nath. Dharidevi temple is 16 km from Srinagar.